“In the mid-1970s, the Soviet Union conducted research into laser weapons and the results was the A-60, an experimental flying laboratory with a megawatt laser that used an Il-76 aircraft.” Photo: Russian aerospace defense group at the Central Military District. General John Hyten, head of U.S. Strategic Command (STRATCOM), said Russia is developing missile and laser systems that can destroy American satellites in low Earth orbit. Russian military experts, however, say that a ’star wars’ system involving laser weapons lies in the distant future. Russia is developing missile and laser systems to possibly knock out U.S. satellites, and action is necessary to counteract this, said General John Hyten, head of U.S. Strategic Command (STRATCOM). “We have to deter bad behavior in space and we have to deter conflict in space,” said General Hyten, specifically citing adversaries such as China and Russia that are building weapons that can hit targets in low earth orbit (LEO) and which would be deployed from the Earth’s surface. American satellites in LEO are vulnerable and Washington must take steps to defend them, said General Hyten, without specifying which steps these might be. He is in charge of America’s nuclear arsenal, as well as space operations, missile defense and cyber warfare. Viktor Murakhovsky, chief editor of the magazine, Arsenal of Fatherland, said the general is trying to scare American taxpayers with a new Russian threat in order to secure more funding for military projects. “In the mid-1970s, the Soviet Union conducted research into laser weapons and the results was the A-60, an experimental flying laboratory with a megawatt laser that used an Il-76 aircraft,” said Murakhovsky. Who is China aiming its nuclear missiles at? The program, however, failed to generate tangible results and the Defense Ministry shut it down in the early 1990s. In the mid-2000s, the project was resumed, but its results so far remain unknown because it’s classified as top secret. “Laser weapon projects still belong to the realm of science fiction, and neither Russia nor the USA has a sufficient energy source to power these systems on Earth or in outer space,” said Dmitry Safonov, a military analyst at Izvestia. 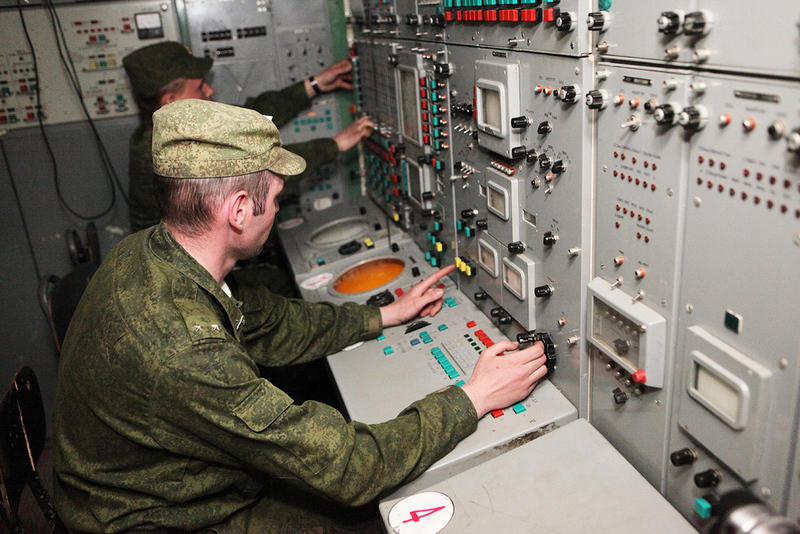 Nevertheless, both Russian and American missile systems are capable of destroying targets in LEO. Colonel (Retired) Viktor Litovkin, a TASS military expert, said the missile defense system deployed outside Moscow is capable of destroying targets in LEO, and is one of Russia’s most classified programs. Military analysts see the U.S. general’s statement as an attempt to start the militarization of space. But this could run into legal hurdles. In 1967, both Washington and Moscow signed and ratified the treaty on the demilitarization of outer space, known as the Outer Space Treaty. That treaty bans countries from deploying nuclear, or any other weapons of mass destruction, in orbit. It allows, however, the deployment of conventional weapon systems. None of the countries that signed and ratified the 1967 treaty have deployed such systems in space.